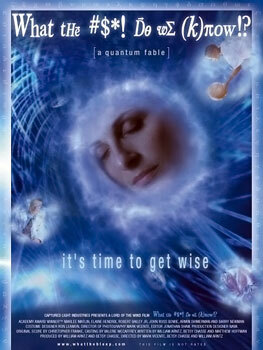 Thoughts Arise: Quantum Physics and Consciousness - Why this Discussion? Quantum Physics and Consciousness - Why this Discussion? This is the first in a series of informal posts to be used as background for the Atlanta Science Tavern discussion Quantum Physics and Human Consciousness. When a handful of science enthusiasts get together to share their thoughts on the "big" questions, the conversation often turns to the mysterious world of quantum physics. Indeed, in a cursory survey of the interests of members of the Science Tavern meetup, the subject ranks near the top of the list of stated science interests. We are drawn to quantum physics for many reasons, but primarily because it tells us a fascinating and unexpected story, that the world as we experience it is an illusion, and that a deeper reality exists, full of marvels and wonders, accessible to those with the determination to look beyond mere appearance. In this regard quantum physics arrives as a concrete realization of Plato's Allegory of the Cave and the alluring prospect that knowledge can truly set us free. It also represents the last best hope for the existence of any kind of magic, a possibility that had been all but banished from consideration by the thoroughly deterministic program of classical physics that began with Newton and reached its apogee at the end of the 19th century. Likewise, the overthrow of determinism by quantum physics offers hope to some for a theory of free will compatible with our scientific understanding of the world. It is not surprising that these intriguing ideas have found there way into popular culture. The treatment that motivated the discussion at hand is a movie from 2004, What the Bleep Do We Know?, which sparked a brief, but heated exchange, on our meetup website recently. As a result of the way it interprets the relationship between quantum mechanics and human consciousness, the film has become both a manifesto for adherents of so-called quantum mysticism and a target for derision by the scientific community at large. Our purpose is to probe the origins of this controversy and to try to come to a common understanding about the physics that is at its core. I should note in closing this introduction that the question of quantum physics and consciousness - I will refrain from using the somewhat parochial qualification "human" consciousness from here on - divides itself, not so neatly, into two. The first has to do with metaphysics - in the strict sense of that word. Does a comprehensive theory of physics require consciousness as a fundamental feature? This is the quandary at the center of the What the Bleep dispute. The second question has to do with the origin of consciousness and the role that quantum physics plays in the emergence of it as a physical phenomenon. In this case the question, on its face, is not so controversial; brains, at least from a materialistic perspective, are physical entities describable, ultimately, in quantum mechanical terms. There is, though, much active discussion and disagreement about the variety of schemes that have been proposed as possible answers. The two questions are not entirely independent, but for the time being, I will focus on the first as this series continues. Quantum Physics and Consciousness - Why this Discussion? by Marc Merlin is licensed under a Creative Commons Attribution-NonCommercial-NoDerivs 3.0 Unported License.